Tom Petty and The Heartbreakers have been consistently putting out their brand of southern-flavored, all American rock and roll since 1976, so they’ve earned the right to play by their own rules and put out the kind of albums they want to put out. For Mojo, their 18th official release as a band, Tom and the boys have bypassed the radio hooks and big choruses for swampy guitar jams, extended solos and new musical paths they haven’t gone down before. While that means there’s no “American Girl,” “The Waiting” or “Learning To Fly” looking to hit the radio, it does allow the bluesy, psychedelic and experimental aspects of the album to be taken in as a whole. Mojo is more akin to what they did in Mudcrutch (Tom, Mike Campbell, and Benmont Tench’s band before The Heartbreakers) than any of the shimmery, polished hits off Hard Promises or Into The Great Wide Open. Mojo was recorded with the band playing together at the same time with no overdubs or fancy studio tricks to cover anything up. The result is a loose, unencumbered romp that captures a band having fun and creating an album that they themselves would like to hear. Track after track is a reminder that these guys are some of the best and can really play their instruments. Benmont Tench’s keyboard lines provide amazing textures and moods throughout the album. Steve Ferrone’s monster drumming is as tasty and huge as always. Original Heartbreaker Ron Blair is back on bass for his first full album since returning and multi-instrumentalist Scott Thurston skillfully fills in the spaces with harmonica and guitar. The real star of the album though is Mike Campbell’s guitar mastery and he’s given full room to run. Whether he’s firing off roadhouse blues runs, slinky slide solos or slow and smooth passages, his tasteful touches drive the ebb and flow of the songs as they wash over you. The richness of the album is more than just listened to, it is experienced. Mojo starts off with “Jefferson Jericho Blues,” a fiery, barn burner that playfully mentions Thomas Jefferson’s “midnight creepin’ out to the servant’s shack.” It’s a really fun song and it’s the closest they get to a standard “radio ready” track. From there the album really opens up and diverges. “First Flash of Freedom” and “Takin’ My Time” dabble in Hendrixy, psychedelic blues. “The Trip To Pirate’s Cove” and “Something Good Coming” are swimmy, atmospheric jams. “I Should Have Known It,” “Good Enough” and “U.S. 41” rip with raw, southern rock. They even turn in a folky ballad with “No Reason To Cry.” The biggest surprise on the album though is “Don’t Pull Me Over,” Tom’s first foray into reggae. The instrumentation is spot on and to drive the point home, Tom’s lyrics are about a drug runner’s activities not hurting anyone. There’s even the line “it should be legalized,” which I’m sure will garner a few strong reactions in concert. After you get over the initial “huh?” moment of Tom Petty channeling Bob Marley, you’ll realize that it sounds natural enough and they actually pull it off nicely. On some songs, Tom even lets the loose vibe carry over into his vocal delivery. His playful accents and slurred lines add to the overall unrestrained, easy feeling of the album. 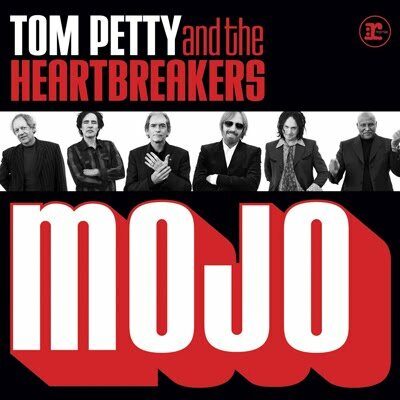 If you don’t pick up Mojo looking for another “Here Comes My Girl,” you’ll be pleased to find what is actually there; a broad, interesting album that proves Tom and the boys still know what they’re doing and are still at the top of their game. Mojo will be released this Tuesday, June 15th.